El Monumental’ stadium is set to be the football world’s main stage this Sunday the 5th, given a new clash between River Plate and Boca Juniors in what is called the ‘Superclásico’ of Argentinian football.This will be the 244th encounter between the two most successful teams in Argentina’s football history and the kick-off will be at 22:05 GMT and we are expecting a clear sky Buenos Aires. Boca wants to keep momentum as they arrive at the eighth round of the Argentinian ‘Superleague’ topping the league with 7 victories in 7 matches and just one goal conceded. Since last May’s ‘Superclásico’ defeat at home pitch, they have not lost any league match. And in the last six months, they have only been defeated by Rosario Central in the Argentinian Cup. Defending league champions, Boca have scored four goals in three of the last six matches. Apart from that, their last match was on Sunday so they had more days to rest than River. The good news continues for Boca, as they only have two players injured. One is the Colombian midfielder Sebastián Pérez, who is starting to train again with the team. And the other is one of their most important players, midfielder Fernando Gago –unable to play until April 2018– who will be surely replaced by Nahitan Nández. Possible line-up: Rossi; Jara, Goltz, Magallán, Fabra; Pérez, Barrios, Nández; Cardona, Benedetto, Pavón. On the other hand, River is in a low moment at the start of their season. They have not won a league match since mid-September in round 3 of the league. Since then, three draws and a painful loss in Cordoba against Talleres by 4-0 has been the form of the ‘Millonario’ team. Furthermore, last Tuesday River lost the second leg match of the Libertadores Cup semi-finals in fellow country team Lanus’ home. River won the first leg of the semi-finals and was 0-2 up by the 45th minute. Lanus somehow could reverse the situation and scored four goals in a row to get access to the final. So, we could agree that River is not in very good shape both physically and mentally. Marcelo Gallardo will not count on forward Marcelo Larrondo, who hasn’t been eligible to play since July. To the unavailable players’ list for this weekend we also have the injured Luciano Lollo and Rodrigo Mora. Of course, we have as well central defender Lucas Martinez Quarta who is suspended by doping until May 2018.Midfielder Camilo Mayada is also suspended by doping. Still up for evaluation is Enzo Pérez, who finished the Lanus’ match injured and maybe will not be recovered by Sunday. Possible line-up: Lux; Montiel, Maidana, Pinola, Casco; Ponzio, Rojas, Martínez, Fernández; Scocco, Borré. As we said before, this will be the 244th match between these two historic teams, so head-to-head numbers are quite big. In global stats, we have 87 Boca victories, 79 River wins and 77 draws. 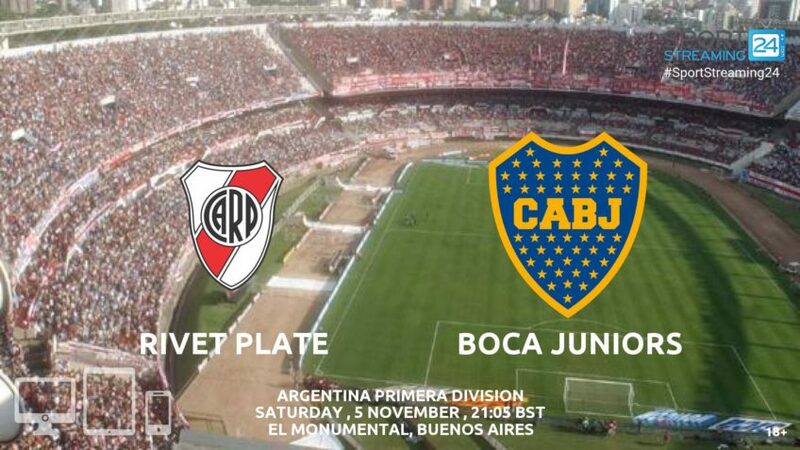 If we take a look at the last ten matches, River has won three –two of them at home ground– and Boca three as well, but two of them at River’s. Last match in May was 1-3 for River, but in the last three matches at ‘El Monumental’, Boca has won two –scoring five goals in total– and drew one 0-0. River hasn’t won any ‘Superclásico’ match at home pitch since May 2015. A River versus Boca match is always a special one and you can’t consider either of them favorites because of the unique situation, but if you had to, stats of the last weeks show that Boca should be in a better shape this weekend. And that’s what betting odds tell us as well.